This craft is sponsored by Henry Holt, an imprint of Macmillan Children's Publishing Group. Families come in all shapes and sizes. A new picture book, Little Elliot, Big Family, tells the story of a small elephant who finds a family of his own in the big city. We travel with Little Elliot and his friend Mouse through 1940s NYC, visiting favorite landmarks. This charming tale inspired us to celebrate our own family with a special picture frame craft. This easy project is a picture perfect way to save cherished family memories. This summer, we spent endless hours on the beach collecting shells and rocks. By the end of the season we had quite a collection. 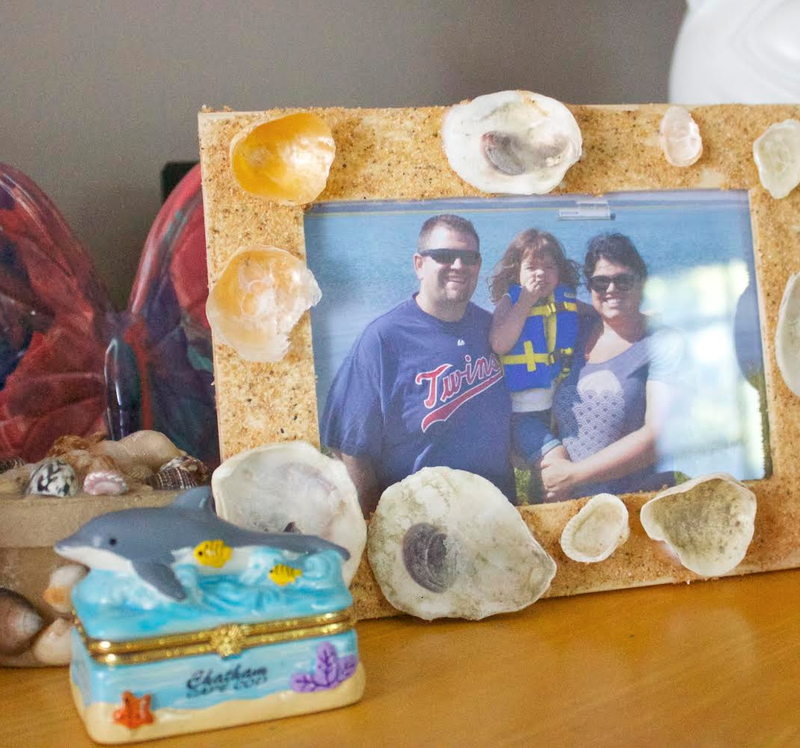 Creating this frame seemed like the perfect way to preserve and display our family's summer memories. 1. Cover a wooden picture frame in a thin layer of glue. It works best if you use a sponge brush. 2. 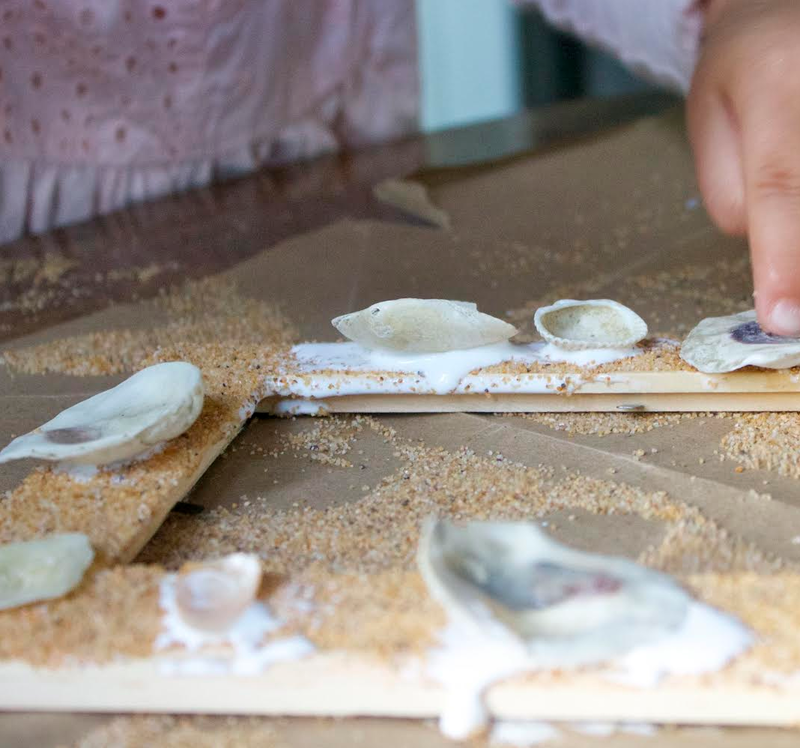 Sprinkle sand over the glue until the frame is completely covered and let it dry. 3. Glue shells around the frame. Once the frame is completely dry, add a family photo. 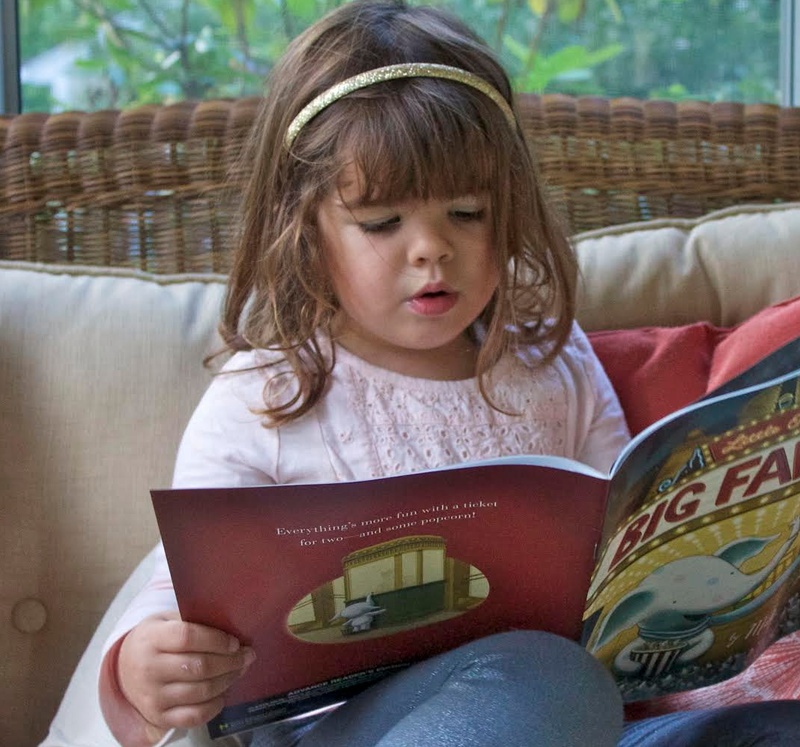 Little Elliot, Big Family is a wonderful new children's book celebrating families in all their many forms. You can buy it online or at your favorite local book shop.